The 2 Hour Fast Rope Familiarization and Fundamentals training is designed to give those participating in HRST, Air Insertion or Fast Rope operations the basic information and techniques needed to conduct live operations. 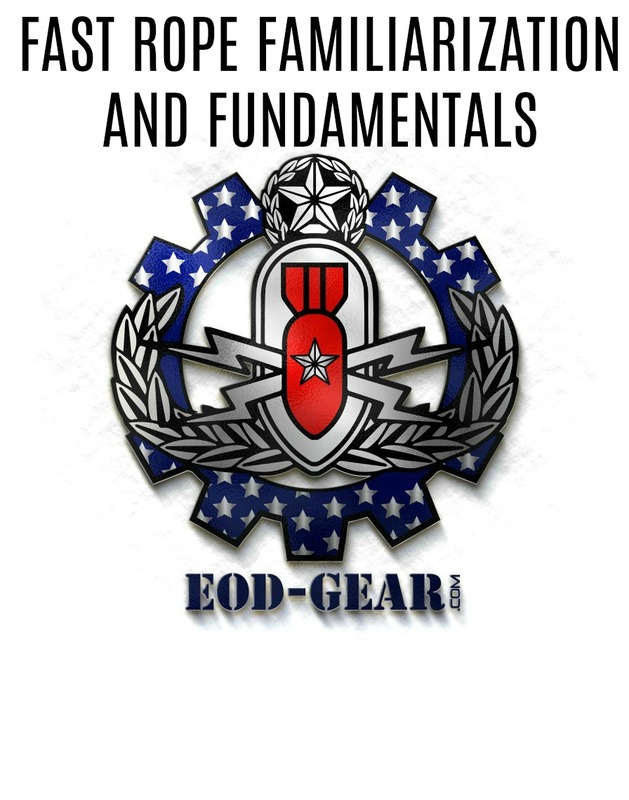 All attendees will demonstrate proficiency from ground level to slightly elevated prior to proceeding to Tower Operations and repeat these procedures from 2 stages on the tower located within the EOD Gear Training Facility. Maximum working height is 13 Feet allowing most to be able to focus on technique rather than focusing on altitude. This training provides progressive training in height and technique providing a high level of success prior to airborne operations. Custom Dates and Times available.